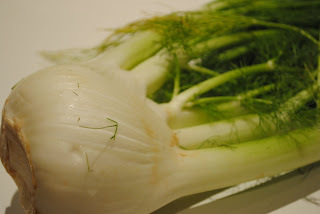 This post follows on from my previous one, where I incorporated fennel in a recipe. Fennel is an unassuming vegetable with a fantastic aniseed taste - the bulb is delicious roasted or blanched and can even be whizzed up to form fennel mash. In my opinion, it goes best with fish or chicken. The seeds are used more widely than the bulb, especially in Indian and Chinese cooking. The seeds or bulb itself can be made into a tea to relax the intestines and reduce bloating caused by digestive disorders, in adults. I don't know why I think these two go so well together - maybe it's the contrasting colours or the fact that both have neutral tastes to begin with, but once they absorb different flavours they can taste quite extraordinary. Beetroot, in my opinion, is underestimated. I know when I was growing up the only form of beetroot I was accustomed to, was the pickled and sliced variety in a jar - which I loved! Now that I can no longer eat it - I have been introduced to a whole new world of baby beetroot; roasted and even raw. 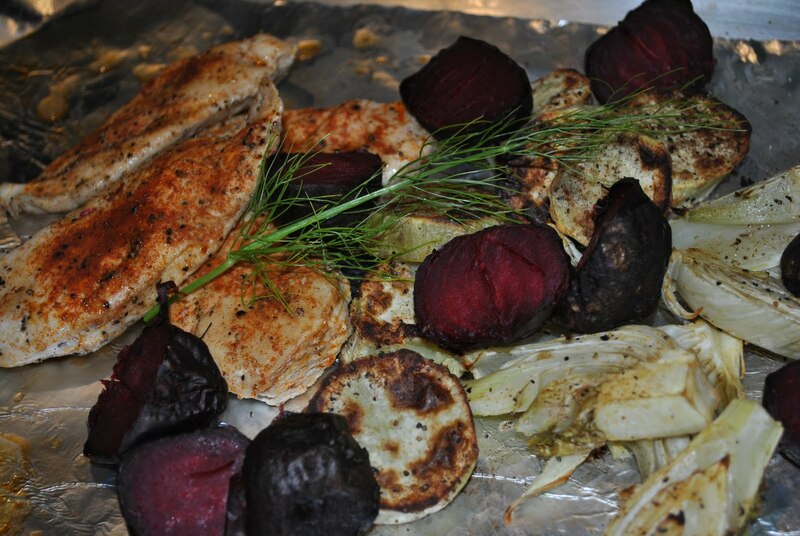 The two recipes below are newly created by me and are equally delicious, fresh and light. The current fad it seems is to use as many raw ingredients as possible - I therefore decided to use some raw beetroot in this salad, to see what all the fuss was about. This dish is perfect anytime, but especially when you're on a budget. There is just something about the golden inviting cavity of a half butternut that begs to be stuffed. The contrasting colours of tomato and spinach with the speckle of white from a sprinkle of pine nuts, makes this an impressive spectacle to behold. These succulent Mediterranean flavours will transport you to the garden of an Italian Villa - why not try this dish at your next dinner party, although simple, it will surely be a talking point? I was quite happily (well not exactly happily, let's say obliviously) living my life the way I was, thinking it was normal to feel that way, until a continuous string of dizzy spells, made me think twice and start to re-evaluate how I had been living. It was like I had constant PMS. My happy moods, which were few and far between, were always closely followed by anger or sorrow. I was a nightmare to live with and the worst part was that I couldn't understand why I was feeling the way I was feeling so this confusion would put me into a worse mood and without realising it I would take it out on the people closest to me, like my boyfriend. I was also an emotional wreck, bursting into tears at the most inopportune times like at work, while in a meeting with my boss. When I started to experience my dizzy spells, I went to a GP and he told me to go onto anti-depressants - at the time I was so out of it and willing to try anything to make myself feel better that I was about to go through with it, until my mother put her foot down and told me we could fix it another way. She introduced me to Dr Davidson and since doing the blood tests and eliminating the toxic foods, I am a much happier person and far easier to live with. After eating I generally experienced bloating - where I was so uncomfortable I wouldn't know what to do with myself, sometimes I would need to unbutton my pants; sitting down was even a mission. It was always far worse when I went out to restaurants - I know now that the combination of drinking alcohol and eating foods that you are allergic to always makes the bloating worse. I constantly felt fat - I couldn't understand how girls had flat stomachs because no matter what I did or what diet I went on, I never seemed to lose the stomach - it always looked bloated. Since January this year, I have lost 6kgs (I had to restart my diet because in December I went to Europe on holiday, for a month, and didn't follow the diet as closely as I should have, which made me put on all the weight I lost last year) and my stomach is getting flatter and definitely doesn't look as bloated as it did. This weight I am talking about is mainly water retention (when you eat a food that you are allergic to, your body retains water, mainly in your abdomen, which makes you look bloated) that is why I was able to lose the weight so quickly (and also put it on so quickly). I weighed 59kgs when I came back from holiday and I am 5'2. All my life I have been thin, that's another reason why I couldn't understand why I kept putting on so much weight and not being able to lose it. Together with the bloating, I would experience extreme pain in my lower abdomen - this pain was either a constant dull ache, bursts of shooting pain that would have me doubled over in agony, or a knot in the middle of my stomach that would tighten up as if a fist was clenching it. The pains got worse after I ate or if I was stressed. Most nights I would lie curled up in the foetal position to try and ease the pain. I very seldom get these pains now. Along with the bloating and pain, I experienced excruciating heart burn and acid reflux. In my early twenties I had a Gastroscopy (where they put a camera down your throat and look around in your stomach and intestines to see if you have any ulcers) where they told me I had a Hiatus Hernia and a Duodenal ulcer. I was told that nothing could be done about the Hiatus Hernia (a hole in my diaphragm), that I would have it for life. I was given pills for the ulcer, which didn't work. So, I assumed I would have to live with this constant pain - after eating; I would pop a Rennies or drink a glass of hot water to try and ease the pain. Today, I am virtually pain free (avoiding the foods I am allergic to) - I would never have imagined living my life with my body in comfort. The bloating, pain and the heart burn were always accompanied by funny gurgling noises in my stomach and throat - the noises embarrassed me no end. But there was nothing I could do about them - I would just laugh nervously when someone I was eating with gave me a strange look. If I do not eat anything I am allergic to, I do not get these funny noises - what a relief! To top it all off, I wouldn't even be able to ease my discomfort by going to the toilet - sometimes I'd go days without going to the toilet. I'm sure this also contributed to the bloating. I'm happy to say that these days I am very regular, the majority of the time I even go twice a day. Most mornings I would wake up with a sore throat and stuffy nose, which would gradually ease as the day wore on, but it didn't make me feel too great. After eating a food that didn't agree with me, I'd sometimes get such bad headaches, or migraines, that would make me feel nauseous and unable to operate properly. I have suffered from insomnia for the majority of my life. When I was younger I would not sleep for entire nights or I would wake up at 4am, with my mind racing, and not be able to go back to sleep. Later on it developed into fitful night sleeps, which always left me feeling like a zombie the next day. I am slowly getting better at sleeping through the night, but now in the morning I wake up feeling more refreshed than I have for a long time. For quite a while I lived in my own little world, happy just to listen to the conversation that was taking place because it was too much of a mission to co-operate. It felt as though my mind was cloudy and so was my personality. My memory seemed to be going and I even struggled to remember simple words - therefore having a conversation really didn't make much sense. Yesterday, my friend Kerry commented on the fact that I am a bubblier person than I was and far less blah! At work, after meals, I constantly felt sleepy. I was so lethargic; I had to force myself to concentrate and to think straight. These days, I have energy througout the day and don't understand how I used to live the way I did. I have so much energy that I now go to gym after work, most days, come home and cook my meals and even find time to write on my blog! I am no longer the couch potato that I was! My life was ruled by stress. Sometime I'd struggle to cope with deadlines and bite fellow co-workers heads off because I was so stressed. My hands used to shake and I used to get heart palpitations as well. These days I am far less stressed, even though I have the same job. I now take everything in my stride and am a far nicer person to work with. I have begun to listen to my body and look for the signs - as soon as I experience one of the above I know I have eaten something I am allergic to. Eliminating the foods you are allergic to is hard at first - some days you will want to give up; take it from me, it does get easier as you start to find your feet and learn to adapt. If you have any of the symptoms above - I strongly advise you to go to a homeopath or dietician and to possibly have the ImuPro blood tests done. I'd Kill For a Slice of Chocolate Cake! I'm sure you've said the above at least once in your life, if not once a week :). I know I have, although my cravings were not for sweets, but rather for anything savoury. In my previous post about oils, I briefly touched on cravings, so I thought I'd elaborate. If you have type III allergies to foods, you might be aware that these foods can act like a drug, giving you a feeling of euphoria, or putting you on a high. This is how I lived for many years, without even realising it! The foods you become allergic to are usually the foods you love the most - you may think that garlic is a strange food to be allergic to, but it'd make perfect sense if I told you that I used to eat it every day, sometimes twice a day (because of having leftovers for lunch). Your body builds up anti-bodies against these offending foods, which find their way into the blood stream through perforations, such as ulcers in the intestinal wall. In other words, the more you eat the foods, the more your body fights them, creating a constant battle in your body. But, oblivious to what these foods are doing to your body, you crave them more; hooked on the way they make you feel. Although, as the saying goes, what goes up, must come down... And boy, did I hate the downs, therefore I would subconsciously eat more, to try and keep that feeling. My cravings never seemed to go away; I'd dream about devouring a packet of crisps while at work and when I came home, I'd do it! I started buying salted pretzels because I thought they'd be healthier for me, but the wheat in them actually made things worse, as did the yeast in rice cakes and "Vita Snacks." But I couldn't seem to stop myself, I was out of control; hooked on the feeling. Today, since eliminating the foods from my diet, I no longer have intense cravings - it actually feels like something is missing, but I convince myself that it's a good thing :). Being allergic to dairy means that most chocolates are out, although some dark chocolates, such as Lindt do not contain milk, therefore a few squares are ok to eat every now and again. (Always read the ingredients though). A good replacement for chips that contain yeast are flavoured nachos - you can buy these at Dischem or Health Shops, but just double check that the flavourants do not contain yeast. After a few weeks of eliminating the toxic foods from your diet, take it from me, your cravings will have diminished considerably, if not have gone entirely. You will be satisfied with a piece of fruit, a handful of popcorn, some roasted chickpeas or nachos with a dip. Don't despair, there are also many desserts you can make or eat that don't contain dairy, eggs, glutens or yeast - the one that springs to mind is tofu ice cream - this is as creamy as a normal ice cream - you won't even know the difference! If you have your own craving experiences, please share them with us! By now, I'm sure you're aware of the huge role that oils play in my diet. Because I am allergic to dairy, butter and margarine have now become a no no. A simple thing like mashed potato has to be reinvented to suit my diet. "Willow Creek Estate lies in the Nuy Valley, in the Western Cape. Overlooked by the Rabie Mountain which forms part of the Langeberg Mountain range, the farm has been in the Rabie family since the late 1700s when it was first cultivated by Johannes Stephanus Rabie. His descendant, Andries Rabie, planted the first olive trees in 1999 and in 2002 the first oil was pressed. The Lemon-Infused Olive Oil is made by infusing the Willow Creek Extra Virgin Olive Oil with natural oils extracted from lemon rind. The lemon flavour zings and bursts on the tongue and is yet smooth and subtle at the same time. I love it with fresh asparagus, in dips such as hummus and butterbean, on warm crushed baby potatoes, as a marinade with fish, lamb chops, chicken, on salads, in fact I could go on and on. This olive oil in my opinion goes pretty much with anything. The Basil-Infused Extra Virgin Olive Oil is equally as versatile and delicious. It has a fresh, summery flavour with an intense punch of basil - it cries out to be sloshed lovingly onto Mediterranean foods such as a caprese salad, used as a base in pestos, to finish off risottos and in marinades for fish, chicken, lamb and beef. These oils can be bought from most supermarkets such as Checkers, Pick 'n Pay and Woolies. My entire supply of oils has grown dramatically since I began my collection with one bottle of avo oil back in October last year; each one is as valuable to me as any precious metal. Healthy oils such as these are essential fatty acids and are important for the body, ironically enough in the right quantity, they even boost fat-burning. Polyunsaturated fats found in seeds, their oils or fatty fish, are used by the brain and nerves, boost immunity, balance hormones and promote healthy skin. In fact, these fats are far better for you than butter and margarine and even when I am able to eat them again, I will still leave them out of my diet - as I do not miss them one bit. The reason for this is that because our bodies need these essential fats to perform functions, we have fat receptors in our mouths, which register if we have eaten what we need or not. We crave fats in the same way we crave sugar, but only when we eat the right fats do our bodies stop craving them. That is why you might get a craving for slap chips or a burger - but once eaten, you will still crave the fats, until you give your body what it really needs - healthy fats. Omega-3 fats are found in fish such as salmon, mackerel, tuna and sardines as well as pumpkin seeds and walnuts and their oils - these help to control metabolism and fat-burning. Omega-6 fats are found in sunflower, sesame and pumpkin seeds and their oils and are especially good for healthy skin and hormonal balance. 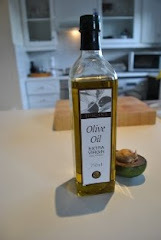 Omega-9 fats are found in olive oil, almonds and walnuts and they help to stabilise blood sugar levels. It is best to use these oils in their natural state where ever possible. (Taken from The Holford Low-GL Diet). Dischem has a good selection of oils, but you can also buy them from most supermarkets or health shops. One of the foods I miss the most is a simple toasted cheese and tomato. Cheese and tomato, to me, is a match made in heaven - two ingredients that are quite boring apart, just seem to ignite in a burst of flavour when paired together. On my trip to Fruits and Roots, I found something called No-D Cheese, which is a dairy free alternative to cheese; made from baby marrow, cold pressed extra virgin olive oil, agar agar (a natural binding agent made from seaweed) and non-iodised salt. This product is made by Free Food. On the packet it promises to grate, cube and melt and I was willing to put it to the test. The likeness test: It looks like cheese, like mozzarella or a white cheddar. It feels like cheese, when still in its packaging, (when taken out of the packaging it is a little wet.) It slices like cheese. The taste test: Unfortunately, it falls short of the real taste of cheese; it doesn't have that creamy tang that I love, instead it has a strong taste of olive oil, but all will be forgiven if it melts! The melting test: It melts! The toasted sandwich test: Also while visiting Fruits and Roots, I acquired a sour dough bread, which does not contain any added yeast - made from buckwheat, millet and rye, another option would be sour dough rice bread (rye is a gluten, but one that I wasn't highly allergic to - 4 months have past without eating rye in my diet - therefore I can introduce it back and study my body to see if there is a reaction). I am pleased to say that my healthy alternative to a toasted cheese and tomato did the trick for me. Hooray! In my opinion all the flavours work hand in hand to create a sandwich almost on the same level as my all-time favourite. Now, I can live with that! I love asparagus; especially the fresh, emerald green spears. There is something quite therapeutic about finding the breaking point, where woodiness and tender stem meet, and then snapping! Asparagus is sort of like the king of veggies as it is a good source of many vitamins and minerals such as vitamin B6, vitamin A, vitamin C, vitamin E, vitamin K, calcium, magnesium, zinc, potassium, niacin (which plays an important metabolic role in living cells and is involved in the repair of DNA) and folic acid (our bodies require folic acid to help produce red blood cells and has even been linked to preventing cancer). 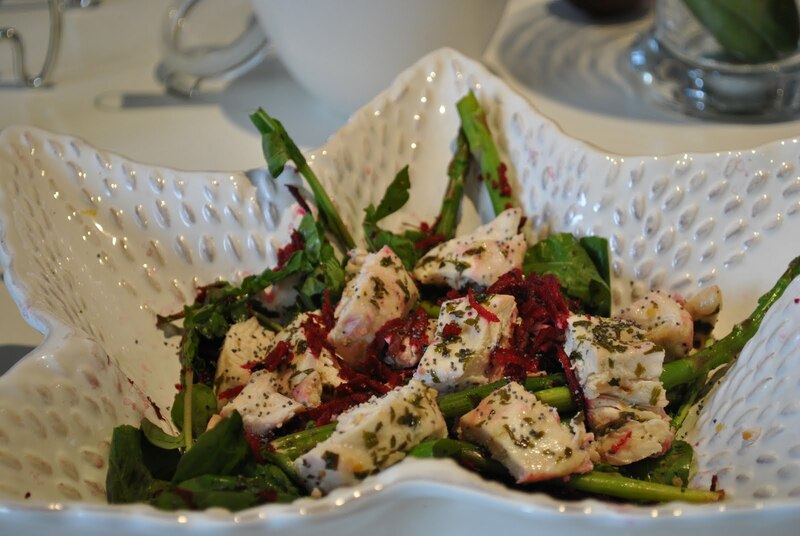 Asparagus is extremely versatile and easy to prepare. My best is cooking the asparagus in the tiniest amount of water, until the colour pops and the stems are still crunchy - squeezing over some lemon juice and sprinkling with salt and pepper. This is so simple to do and is a great accompaniment to anything, such as lamb chops and chicken breasts. Hello Amaranth - where have you been? Amaranth. Did you say Amaranth? What in the world is Amaranth? Amaranth is a gluten free grain (or rather a seed), which I stumbled upon quite by accident. I found another health shop in Bryanston called Fruits and Roots - which is very similar to Fresh Earth. I love these shops; I take ages perusing the shelves for something new and exciting to try and on this visit I found, yip - you guessed it, Amaranth! I knew nothing about Amaranth - I had never even heard of it before. So, I did what any self respecting person would do and I googled it (after I bought it and took it home that is). 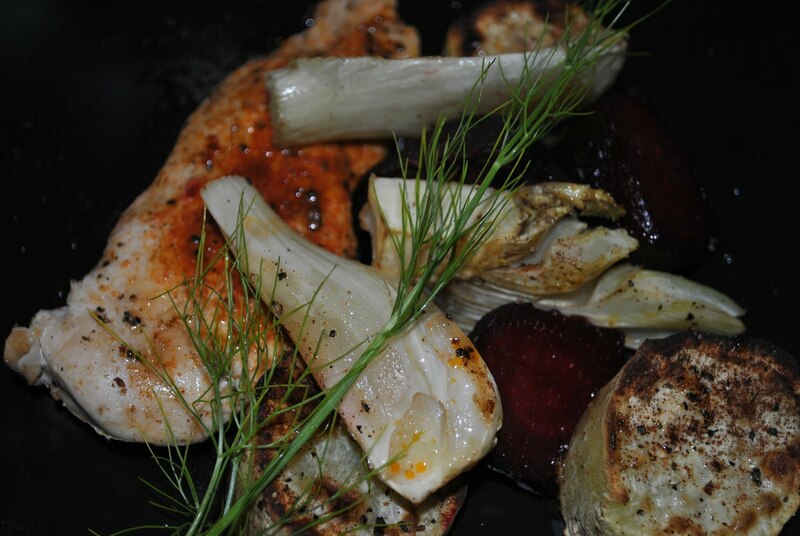 Toss together and there you have it, an unusual roast veggie salad! Have you used Amaranth before; if so, what is your favourite recipe? It's good to know that my entire self has not changed on this diet - my fears of not being able to entertain are unfounded. In fact, I want to entertain more! Because I am feeling so good and have discovered so many new and different ingredients, since the start of my journey, I want to share it all with my friends. 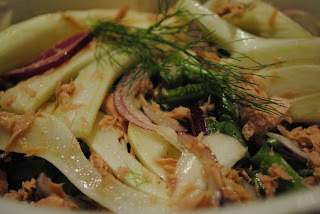 I invited my friend Tarrin over one Sunday afternoon for one of my healthy, yet tasty salads. 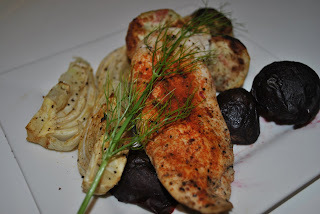 Mix all ingredients together and brush over the chicken breasts. If you haven't realised by now, the essence of this way of eating - is simplicity! Simplicity in the number of ingredients (due to the 4 day cycle) and simplicity in the way the food is prepared because time is of the essence. Gone are complicated, creamy concoctions and in their place are raw ingredients bursting with flavour. This is where I introduce the star player in my weekly routine - the pesto. I was never big on pestos - they didn't lure me in like a bowl of creamy macaroni cheese or a Napolitano sauce sprinkled with generous shavings of fresh parmesan. But boy, was I missing out! The tangy, zingy get smooth and creamy flavours of a basil pesto, in my opinion beat most pasta sauces hands down. So, to entice you to the pesto side of life - I have creating some pestos below, which will have your taste buds crying out for more! I do not include garlic in any of my pestos, as I am allergic to it - but please feel free to add it to yours! 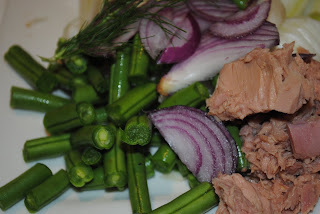 Or instead use spring onions, chives or red onion. The most fantastic thing about a pesto is that anything goes and it is so quick to make - mix a few ingredients in a blender and voila - you have a topping for pasta, fish, chicken or even lamb! I hope you eat your pestos with as much gusto as I do. And remember when it comes to cooking there is no right and wrong with experimenting so I encourage you to try as many different ingredients as possible to make the best pesto for you! Here is a challenge for you; come up with an amazing pesto and I will write a blog post dedicated to you and your pesto. So go, go, go - and get creative! I used to love my leftovers for lunch… and I still do, with one, slight difference – I now freeze my leftovers and eat them the following week. In fact, I freeze practically everything: my dips, the bread I buy from Fresh Earth, cooked sweetcorn on the cob, cooked beetroot, roasted chickpeas… It makes life way easier especially in those situations where you get home late and the absolute last thing you feel like doing is cooking; and it saves cooking the next week too! Freezing also prevents wastage - if you're like me and never quite get around to using that last sweetcorn or carrot in the fridge - cooking everything and then freezing is brilliant - there is no wastage and the food is ready to go whenever you are, give or take a little chill time. I also enjoy eating, and making, a variety of salads as they are quick and very tasty. Salads are so versatile. I love mixing and matching ingredients until I find a salad that tastes good to me. The excitement is in the creation. So, why not mix and match your own ingredients to create your very own mouthwatering masterpieces and as always, please share them?